After over 60 years of research and what the late Robert W. Richardson termed “picture hunting”, this book is a pictorial history of the D&RG’s narrow gauge. The Rio Grande Glory Days are preserved here in rare old photographs and art. Climb aboard for the ride of your life as we relive the days when the world and the Rio Grande were young. Almost every quality photograph available from 1873 to 1921 has been included in this volume. 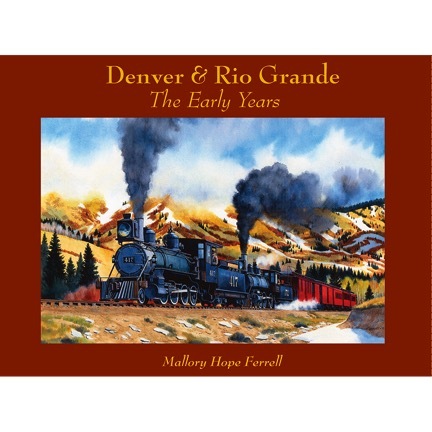 No Rio Grande or early railroading enthusiast will want to be without Ferrell’s 22nd (and last) book. 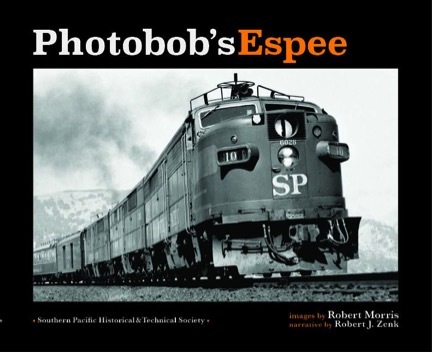 The Southern Pacific Historical and Technical Society is pleased to announce the release of its new book, Photobob’s Espee – by Robert Morris . 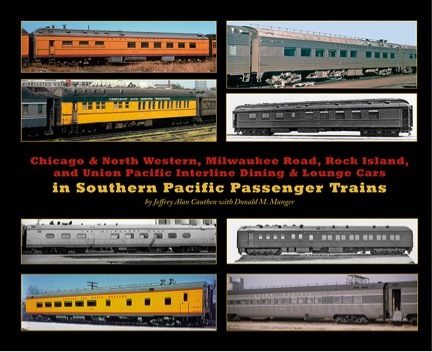 Authors Cauthen and Munger, with credits to their names in all matters Southern Pacific passenger equipment, have prepared this companion volume to the previous six titles in the Southern Pacific Passenger Car series published by the SPHTS. Here you’ll find the dining and lounge cars of the C&NW, Milwaukee, Rock Island, and Union Pacific that were used in the jointly operated trains on the Overland and Golden State Routes. An Addendum covers the arch roof dining cars operated by the Western Pacific. Volume seven is a “must-have” for passenger car and train aficionados as well as western road historians and modelers.